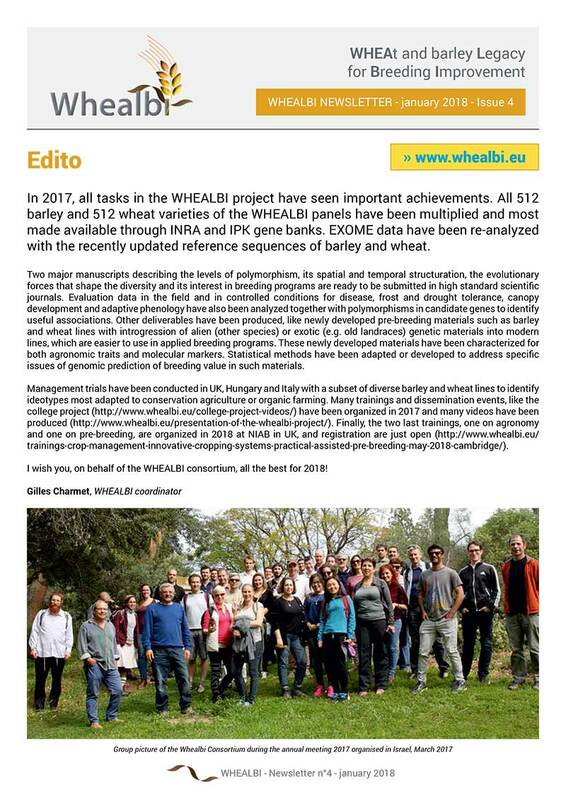 During the WHEALBI project, an important issue is given to the knowledge transmission. A short movie which explains the main objectives of the project, the principle characters and the resources engaged. We are pleased to announce the next Eucarpia Cereal section meeting, jointly organised with the 2nd International Wheat Innovation Workshop, that will be held in Clermont-Ferrand (France) from the 19thto 22th of March, 2018.